Multiple customer channels and systems to integrate? Reach out to one of our enterprise conversational technology specialists for a demo. How does Woveon Enterprise Single Customer View work? To resolve the millions of conversations and customer interactions giving your teams endless headaches, Woveon pulls together all the customer data from multiple software CRM, Support and Sales systems and conversations from emails, chats, SMS, phone and social messages into one place using AI and machine learning. Result: We connect all the relevant conversations and topics about a customer into one single customer view. Now you have all the messages you need to deal with prioritized. Woveon provides a single view of the customer conversations, behavioral and transactional data. 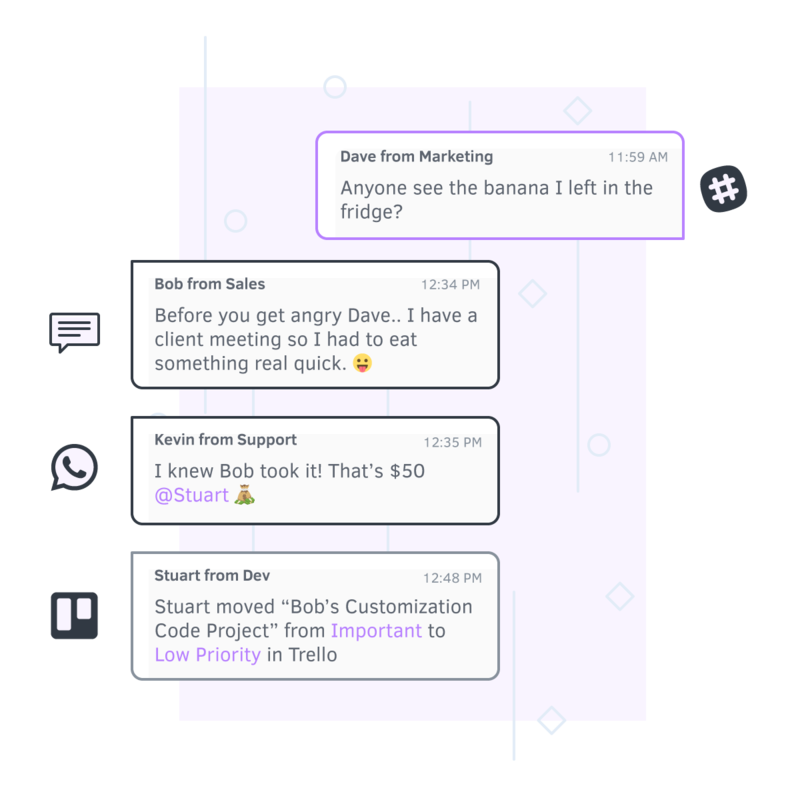 Teams no longer need to spend hours connecting past customer conversations, similar topics from other customers and relevant transactions together. We understand what was said, who, when and why. 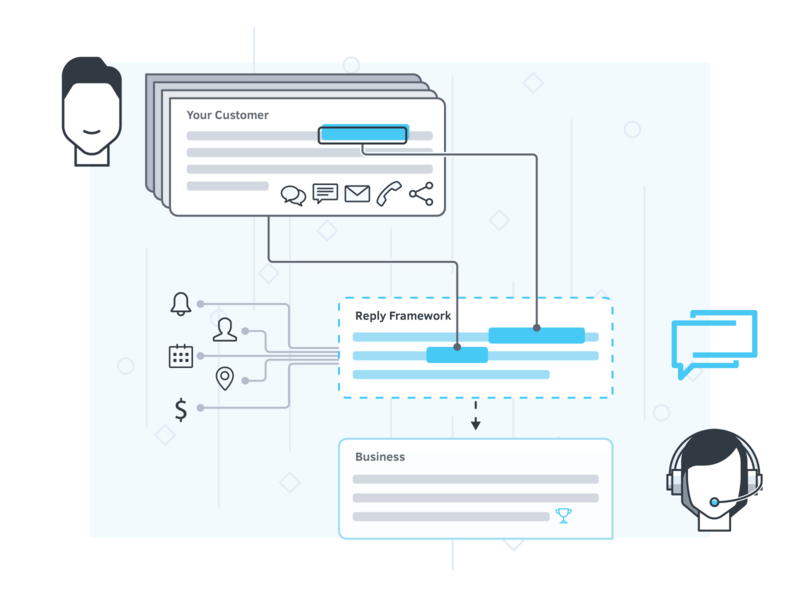 In our single customer view, you’ll be able to see the customer profile and behavioral data merged from different conversations and systems in your organization. Millions of customer conversations are stitched together seamlessly. 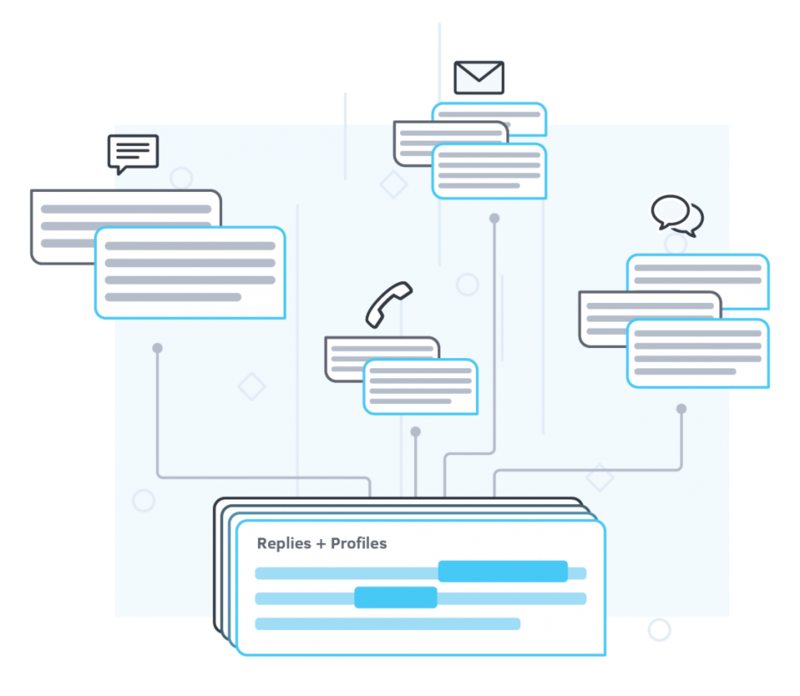 We connect all the relevant conversations that will help your teams solve that problem faster and reduce the time to discover the right information about the customer at the right time. Our next generation enterprise release with even more powerful single customer view management. 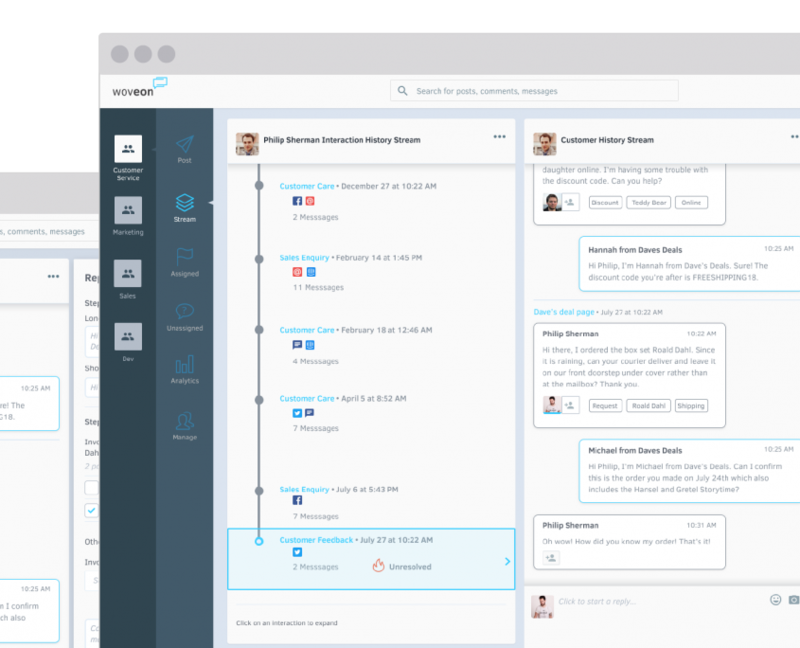 For Enterprise users who are overwhelmed with customer conversations, Woveon conversation software pulls together all the emails, chats, SMS, phone and social messages into one place using AI and machine learning. Our single customer view interface revolutionizes the way teams can generate segmented customer data for building brand loyalty, increase sales conversions and reduce the time to respond. Using AI and Machine Learning, Woveon learns as your team takes on more customers.